After 7+ years of playing every day, the game has lost everything that made it challenging. 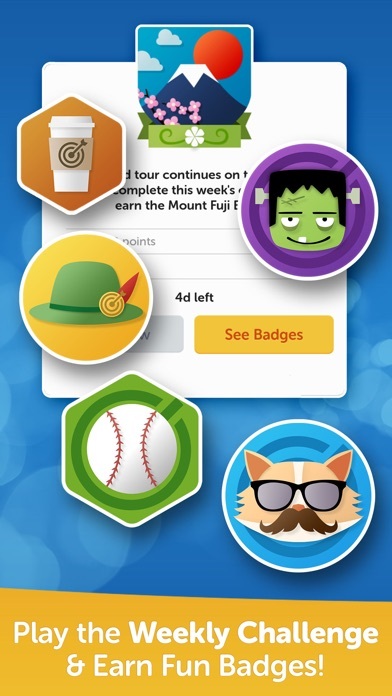 It’s all geared towards ads and getting you to buy “power ups” to have an advantage. You can now play completely non-scrabble bogus words. 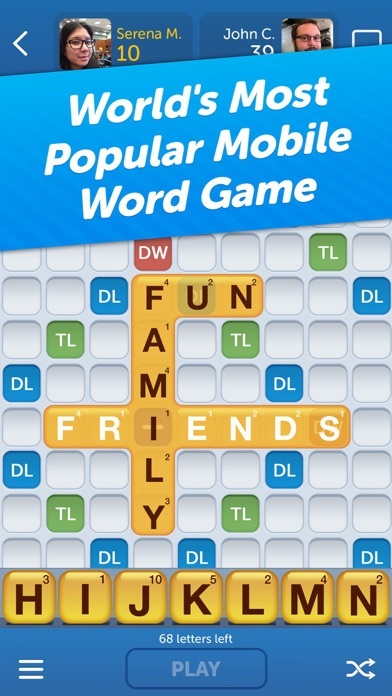 Many proper nouns and abbreviations are allowed, so anyone can play fake words. 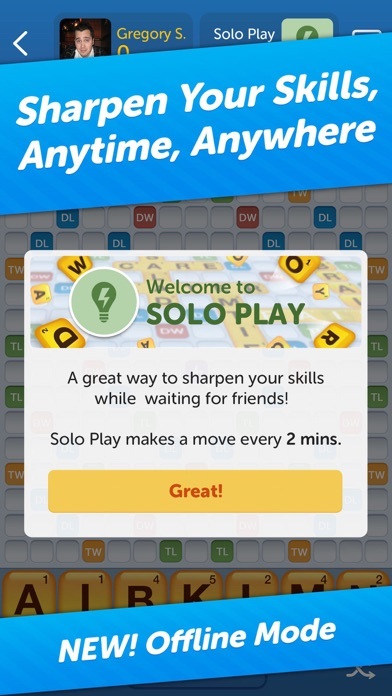 “Zynga” is literally allowed as a word now. The game is a joke. I just wish hasbro could figure out how to make apps. I paid for the full version of WWF years ago because I wanted to play the closest thing to scrabble. Now it just doesn’t exist. I’ve loved WWF for years, but I DESPISE the daily challenges! 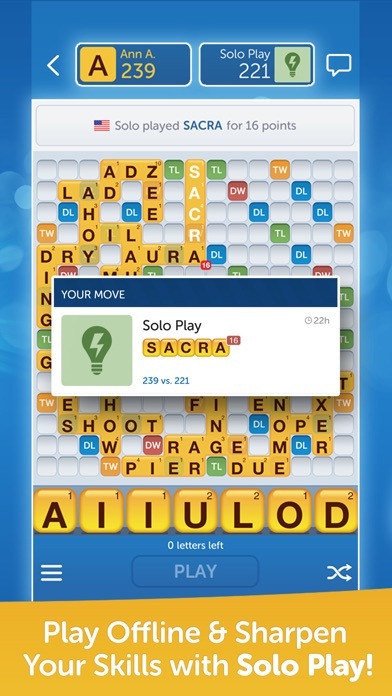 I’m not interested in playing all the letters in the daily word & it’s a constant interruption to my play! Please give us the option to decline these!! I’d like to be able to share photos in messenger. I’m sure this is possible. Please consider. I’ve been playing this game for years. All of a sudden, non words are accepted as words! Words like “te” , and “je”. It’s too unpredictable now! Fix this!! I hate the “prizes” - they interrupt my game play and are pointless. I find myself playing less and less since the update that introduced these distractions. It used to be my favorite game. Maybe we can be given the option to turn off the prizes and treasure chests and computer opponents . . . 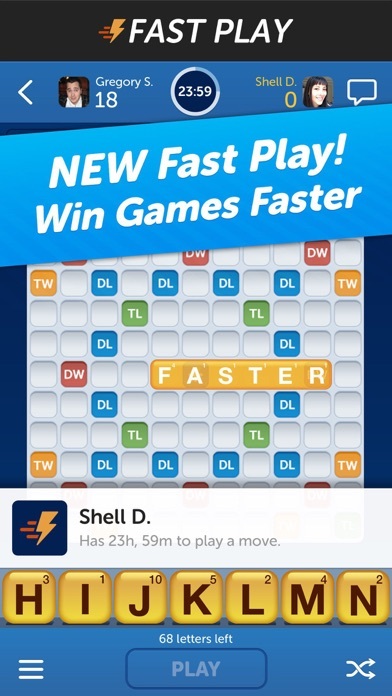 I like to play words with friends, not gather treasure chests or beat the computer, or flash games, or use certain letters to spell words in a computer challenge. 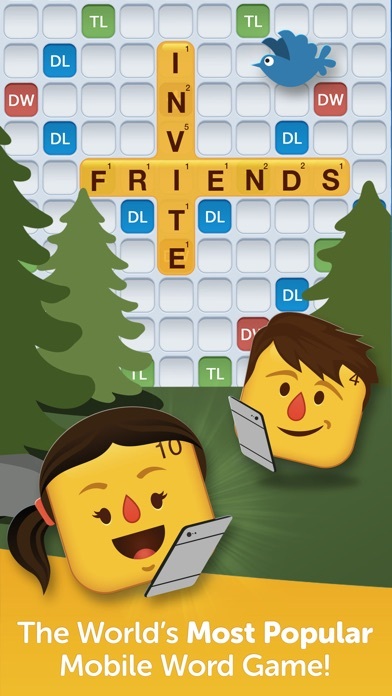 Just words with friends and no more. 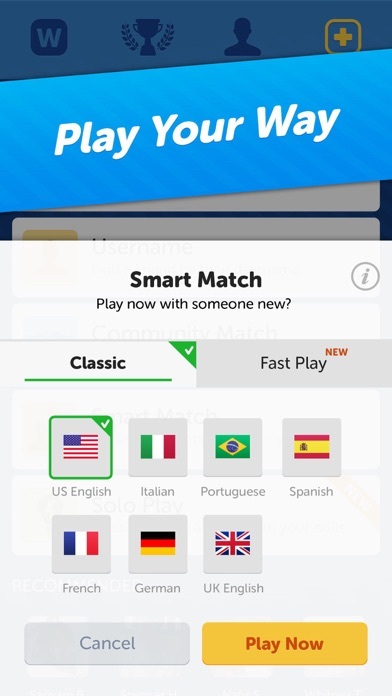 Recently I have seen several words being played against me, but if I try to play the exact same word I am told it is not a valid word. The three most recent have been io, ee, and vu. I have screenshots of these as proof. If these are not valid words, why can my opponent play them against me? You can catch the game cheating if you pay attention. I tried to use a letter, I only had 3 left and the game wouldn’t let me, however my opponent had the same letter left and was able to use it in the exact same spot. The words were ax(e) and m(e)r....go figure. Not fun when you play with a game that cheats. I deleted the game. Seems like most plays are interrupted by inane pop ups now. You’ll just have played a word when 3 entire-screen juvenile animated messages take over, one after the other, no way to skip past. Can’t configure less frantic messaging. Used to be a perfect game. Now I’m actively looking for a replacement.